Yard darts, or sometimes referred to as Jarts, is a game that is simple to set up in your backyard or tailgate spot. It should only take a couple of seconds to place the two circular target areas on the ground 35 feet apart. If you are a beginner or setting up the game for younger children, you can move the target areas closer to one another. 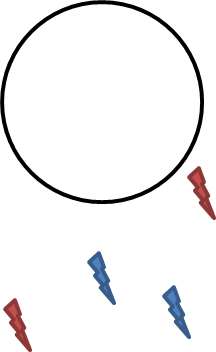 If you are playing with only two players, both of you should stand behind the circle on one end and aim for the same target area. If you are playing with teams of two, divide each team so one player is at both ends. If you are playing with only two people, players stand together on the same side and aim at the same target. 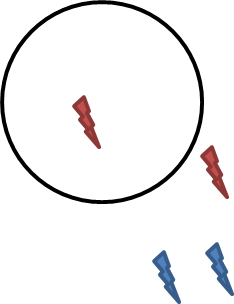 Once all the darts are thrown by both players, points are calculated and they move to the other side to aim at the target they were previously standing by in the last round. 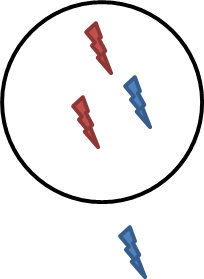 When playing with teams of two, one player from each team should stand on each side of the two circular target areas. This will ensure that you are shooting against your opponent and can properly calculate scores. Yard darts will start at one end, standing behind the circle. Each team will receive two darts either red or blue and they will throw both of them per round. Each player will alternate their two throws at the target on the other end. Toss it at the other circle target area using an underhand motion and it is recommended to lob it upwards with enough arc to let the Jart stand nearly upright when it strikes the ground. If you don't follow this recommended strategy, it may bounce around and not ultimately land where you had intended. You can either flip a coin or make a rule that red plays first in first round. In each subsequent round the player scoring the most points will go first. Just remember that players should toss Jarts in alternating turns so one team doesn't have both thrown before the other team begins the round. For Standard Lawn Darts scoring only counts for ringers that land in the center and each are worth 3 points. Points offset if your opponent also scores in the center. 0 Points - Both teams land one dart inside the circle. These points offset so no points are given. 1 Point - Awarded to the dart nearest to the circle but none in the circle. 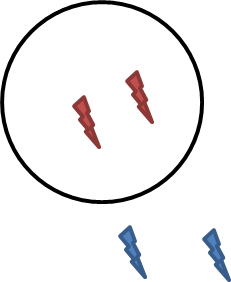 2 Points - Two darts closer to the circle than both darts from the opponent or one dart in the circle less one offsetting point if the opponent is nearest to circle. 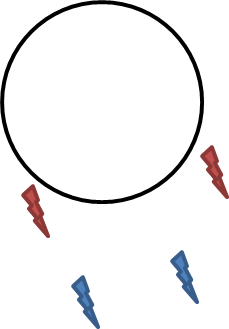 4 Points - One player with 1 dart in circle and other closer to the circle than both of the opponents. 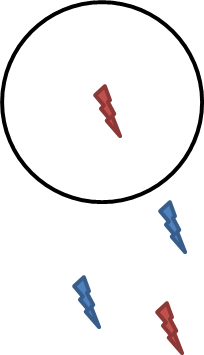 3 Points - One player with 2 darts in the circle and opponent with one in the circle. 6 Points - 2 darts land in the circle by one team with the opponent having none in the center. Much like other games, house rules apply and dictate how the game is won. Typically if your score for a round takes you over 21, your total score for that round is deducted instead of added. To win, you must score exactly 21 points. However, some people also play a the first to 21 or that you have to win by 2 points. Either way you go just make sure to communicate the rules to win the game before it starts so it is fair.